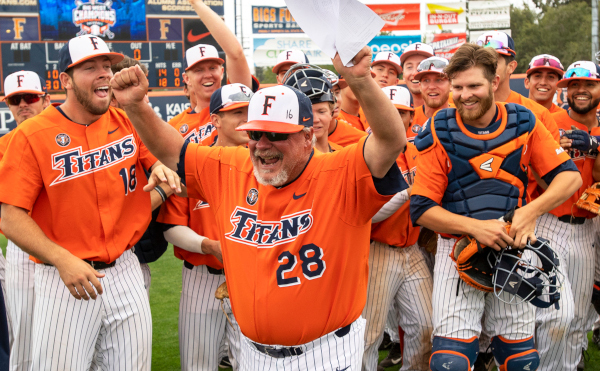 The Cal State Fullerton Athletics Department announced Monday the 2019 Titan Baseball schedule that will include two in-season tournaments along with two non-conference home series in addition to the regular slate of Big West Conference opponents. The schedule marks a return to playing highly regarded opponents in round robin tournaments early in the season. Most notable includes the MLB Collegiate Tournament held in Surprise, Arizona the weekend of February 15-17, 2019. 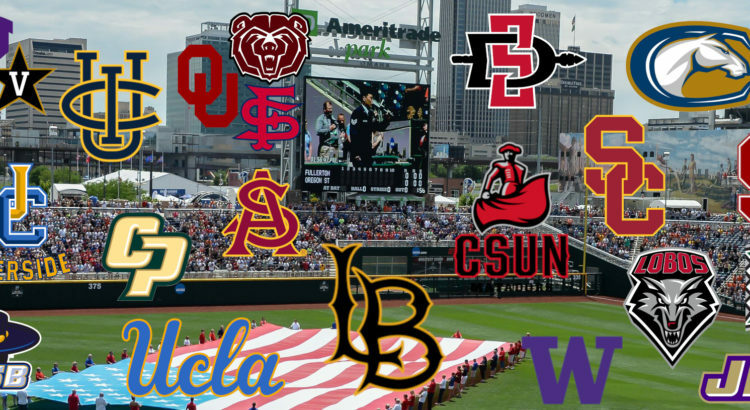 The four teams participating could make up one side of the bracket in the College World Series based on recent success and winning tradition. The Titans open with Texas Christian University on February 15th, then Vanderbilt Saturday, February 16th. The tournament ends with the Titans facing Virginia on Sunday, February 17. TCU has been to Omaha a streak of four straight years from 2014 – 2017 and also features former Titan pitcher and coach Kirk Saarlos as the Horned Frogs pitching coach and recruiting coordinator. Vanderbilt has been to Omaha three times and most recently won the College World Series in 2014. Vandy and Fullerton matched up in the 2015 CWS in a lightning delayed game that finished the following day. Virginia won the College World Series in 2015 and has visited Omaha four times. Unless this tournament was expanded to include four more teams like LSU, Oregon State, Texas and Florida State, you would have baseball royalty all in one spot outside of Omaha. After that grueling three-day tournament, the Titans get no rest and will play Washington at Goodwin Field on Monday, February 18th. The Washington game rematch the 2018 Fullerton Super Regional combatants where the Titans were one win away from advancing to their 19th College World Series. The weekend of February 22 – 24, the Titans travel south on the 1-5 to play in the Tony Gwynn Classic in San Diego, their second four-team tournament in two weeks. Games will take place at Tony Gwynn Field on the San Diego State campus and Fowler Park and Cunningham Field on the campus of University of San Diego. Fullerton will play Missouri State, Fresno State and the University of Oklahoma over the course of three days. Both Missouri State and OU were NCAA post-season participants in 2018. The first home series at Goodwin Field brings in the Stanford Cardinal for a three game non-conference set. Fullerton opened the 2018 season in Palo Alto and was swept. The Titans won the 2017 and 2018 Palo Alto Regionals and you can bet the Cardinals have revenge on their minds when visiting Fullerton March 1-3, 2019. 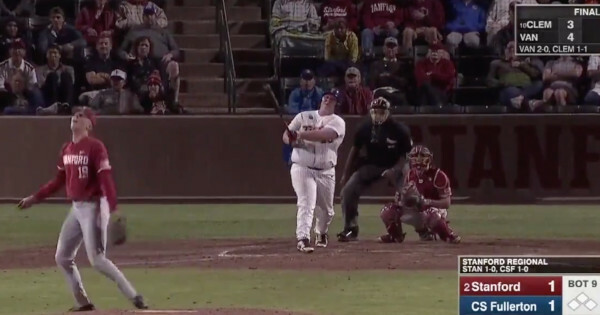 Forever remembered as the “Jumbo Jack”, Jace Chamberlin’s walk-off home run vs. Stanford in the 2018 Palo Alto regional will go down in Titan Baseball lore as one of the best moments this storied program has had. Sticking with the Pac-12 theme, after the Stanford series, the Titans welcome Arizona State into Goodwin Field for a two game mini-series March 5-6. Next up, a road Series vs. New Mexico February 8-10 and then Titan Baseball returns home the following weekend to play host to James Madison. The final non-conference weekend series will match familiar rivals with the Titans traveling to Long Beach to face the Dirtbags at Blair Field, February 22-24. Upon starting Big West Conference play, the Titans will alternate between home and away weekend series starting with UC Santa Barbara March 29-31 in Fullerton. After traveling up to Cal Poly April 5-7, the Titans return home to face San Diego State for a non-conference series during the Titans’ Big West bye week. Other than a mid-week non-conference match-up against UCLA and UC Irvine (we’ll explain that one in a moment), the Titans alternate traveling to Hawaii (April 19-21) and host UC Irvine (April 26-28) to round out the month of April. With the opening of the new ball fields at the Great Park in Irvine which will house a minor league baseball team, the Titans and Anteaters will face off in a Tuesday non-conference game there. Titans are no stranger to playing non-conference games in minor league ball parks, traveling to Lake Elsinore to play USD in a mid-week game a few years ago. The month of May alternates conference series with UC Davis at home May 3-5, at UC Riverside May 10-12, Long Beach State at home May 17-19 and ending on the road at Cal State Northridge May 23-25. All in all, the schedule is quite strong and loaded with great non-conference programs. If the Titans perform well in the early round-robin tournaments along with the series vs. Stanford, the Titans could be poised for a solid 2019 season. If the Titans stumble against the formidable competition early, the 2018 season taught Titan fans not all is lost. Winning the Big West Conference is goal No. 1 for Coach Vanderhook in order to remove all doubt of making the post-season tournament. Of course having a strong RPI and winning record helps with seeding and potentially hosting Regionals, but winning the conference solves a lot of problems. Coach Rick Vanderhook and the 2018 Titan Baseball team celebrate winning the Big West Conference championship and an automatic berth into the NCAA postseason tournament. Saturday, November 3, 2018 there is a fall scrimmage vs. New Mexico State. First pitch at noon and admission is free to get a sneak peek at this year’s crop of Titans which includes 18 new faces including 12 freshmen and six Junior College transfers. They join returners Sahid Valenzuela, Hank LoForte, Mitchell Berryhill, Daniel Cope, Brett Borgogno, Tanner Bibee, Timmy Josten, Dillon Brown among others from last year’s 2018 squad. View the 2019 Cal State Fullerton Baseball schedule HERE.